Today marks the official launch of California Square, an exclusive wine from Truett-Hurst Winery that puts a series of truly fine wines in unique, square bottles. Despite their square look, the wines of California Square are round and rich with no sharp edges. These delicious fine wines come in three varieties (a Red Blend, Cabernet Sauvignon and Chardonnay) from some of California’s most noted wine regions including the Russian River Valley and Paso Robles. The bottle was created by the award winning design firm Stranger & Stranger, California Square’s unique and elegant package harkens back to classic spirit bottles with their square shape and memorable artwork, embossing and vintage graphics. From the grapes to the packaging, California Square is an environmentally-friendly wine too. By combining winemaker Ginny Lambrix’s philosophy of sustainable farming and the reduced packaging for California Square, the production methods from vineyard to shelf helps save a million trees! Plus, there are lots of ways to re-use your California Square bottles after you’ve enjoyed the delicious wine inside – possibilities abound, including using the bottle to hold scented oils, as a candy jar, a water or vinegar carafe, to hold homemade flavored olive oil, or as a dish soap dispenser. 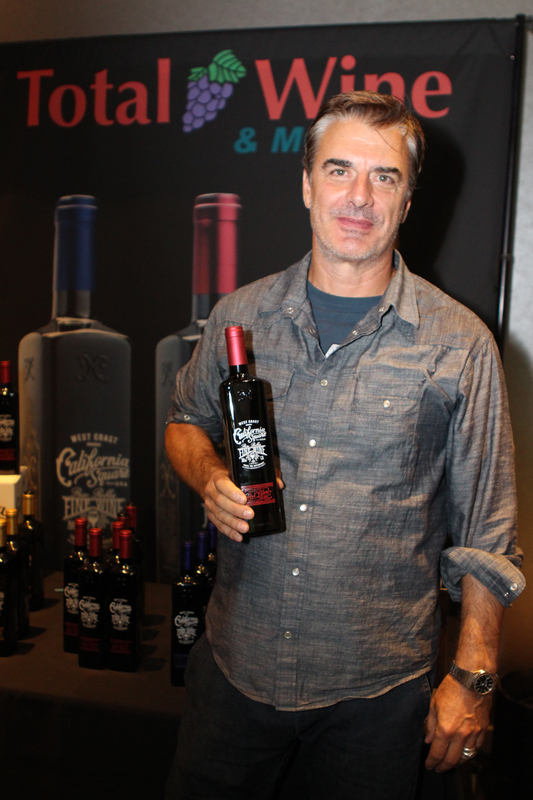 The entire line of California Square wines had their pre-release debut during the 65th Annual Emmy Awards weekend, we’ve posted a photo gallery of a few famous folks enjoying their bottle on our Facebook page. California Square is available exclusively at Total Wine & More! Hi, Diane – Thanks for your note. We vary our coupons based on seasonality and location. I’ll share your request with our marketing team. Which location do you typically shop? Just had a glass of your California Chardonnay in Dallas but am having problems finding it in Houston . Could you tell me where I might find it ?